Pint Night starts at 6. We will have pint glasses. THE DUDE ABIDES. Brewed with whole Madagascar Bourbon vanilla beans, Full City Rooster cold brewed coffee, and American Oak, The Caucasian plays tricks on the palette, but the end result is quite decadent. 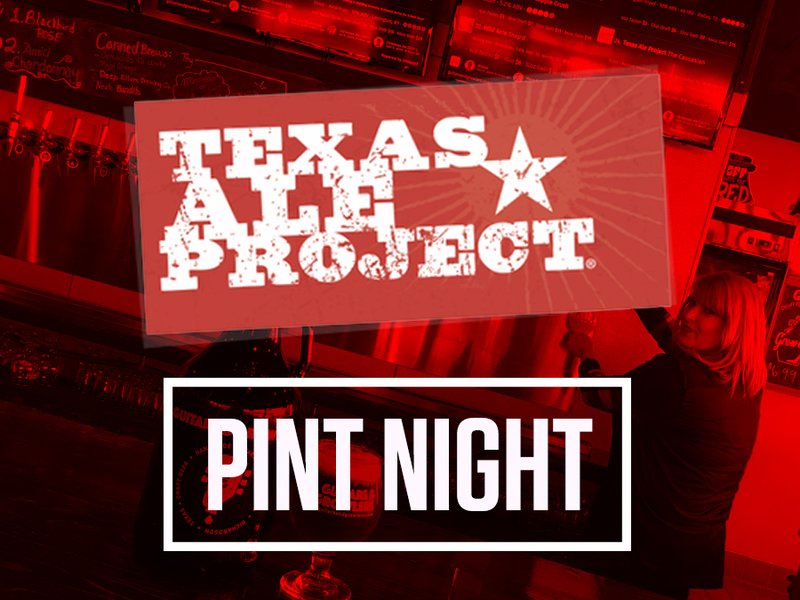 TEXAS ALE PROJECT is the first brewery to be built from the ground up in the City of Dallas since the late 1800s. That’s over 120 years, folks. We have worked very hard to get where we are today, and we are proud to introduce our ales to you.